Come Help Our Furry Friends At #SPNCHI! 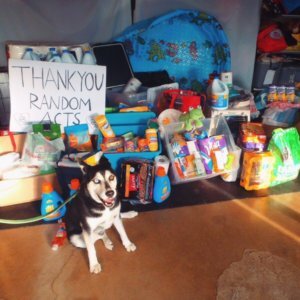 Pack those suitcases and make a little room for some donations… Random Acts is headed back to the Windy City! From September 9-11, staffers Jennifer, Julie, and Melanie will be in attendance at Creation Entertainment’s Official Supernatural Chicago Convention (#SPNCHI), and we’d love to see you there! Per tradition, we’re excited to announce that we’ve partnered once again with a local nonprofit and will be collecting donations on its behalf. And as this month’s #GetKind theme is “Animals”, we’ve decided to join forces once again with the Heartland Animal Shelter. 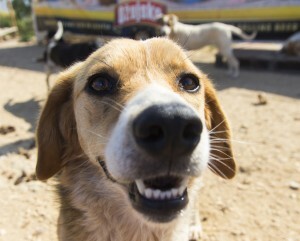 Founded by Dr. Herbert Preiser in 2002 , the shelter works to actively encourage adoption and offers its whiskered and tail-wagging tenants as much love, medical attention, and behavioral assistance as they might need. Currently, the shelter acts as a home for dozens of cats and dogs of all ages who are waiting for their turn to find a forever family. Monetary donations are always appreciated as well, if you’re unable to pack items in your suitcase (there is also a Walgreens and a Target located within a few minutes driving distance from the convention hotel, if you decide to grab some supplies over the weekend and have a car). A full, detailed wishlist can also be found on the shelter’s website in case you have some spare supplies at home that aren’t on this list and need to double check that they can be used. If you’re driving and have a larger load of donations to drop off, please feel free to pull your car into the circle drive at the front of the hotel and stop at the very end, near the convention doors. We’ll help you carry it in! I Can’t Bring A Donation! We’ll be giving away random swag items to a handful of lucky supporters too, so keep an eye our for us! You can still join in on the kindness parade! There are a myriad of ways to help out animals across the globe over #SPNCHI weekend. Check out our latest #GetKind post to read up on some ideas and get planning! 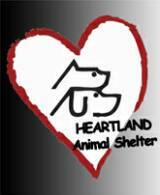 If you’re looking to help the Heartland Animal Shelter, you can also donate to the center online here. We can’t wait to see you there (or on social media)! Are you ready to help us #GetKind? Don’t forget to tag all your social media posts throughout the weekend with the hashtags #GetKind and #SPNCHI! We’ll re-post our very favorites to the official Random Acts social media channels. Make sure to follow us on Twitter (@RAFundraiser and @RASocialMedia) to get updates on giveaways as well!